It's important for students to have some experience with hands on manipulatives. A fraction is an abstract concept so until students grasp what a fraction really is or what an equivalent fractions is they won't be able to effectively solve problems with fractions. They need the hands on experience, they need to see and touch for themselves. Are there great apps out there with manipulatives? There sure are and we use those too. Apps come in handy when you don't have a class set of manipulatives like me. So instead I have purchased enough hands on materials to use as a centre and then we also use an app at some centres. In my hunt for some great fractions lesson ideas I came across the following blog posts that I found helpful and I think you will too. 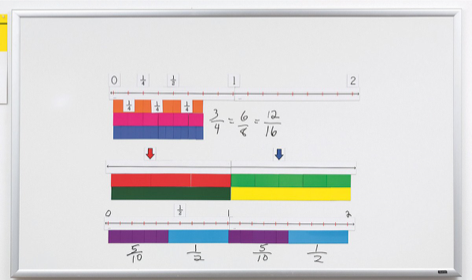 Fractions can be a challenging topic to teach and challenging for students to understand. 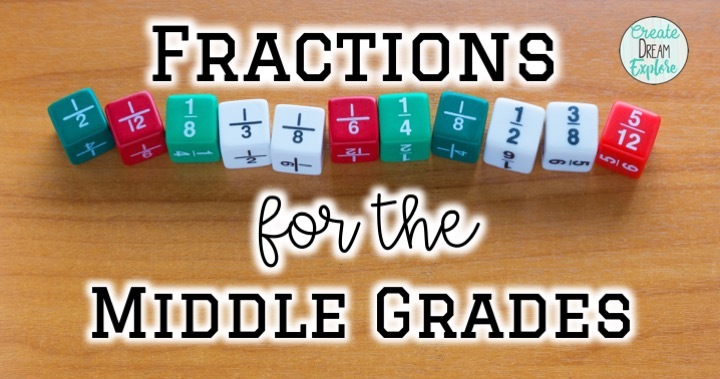 Meg from the Teacher Studio has an amazing blog post about why fractions are so challenging. 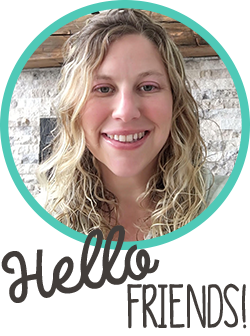 She goes into detail about the various teaching points and why they are important. If you search through her site she has dozens of other posts just about fractions. Teaching students to use a number line for fractions is important. We want them to understand that fractions aren't just a part of a pizza. They need to have a good understanding that a fraction is a part of a number. 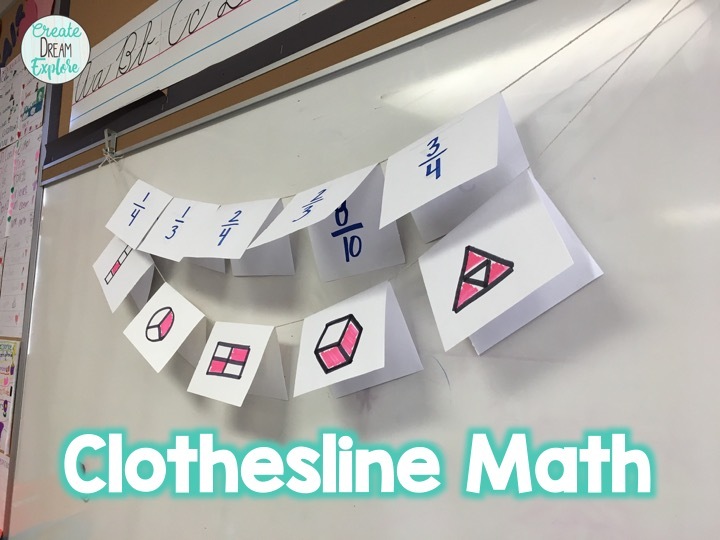 Shelley Gray has an awesome blog post about teaching fractions on a number line. She even includes a FREE lesson plan. You can check her post out by clicking here. You can use this strategy for many math concepts. I used it for ordering fractions, equivalent fractions and matching fractions to their models. It's important to have a balance of different types of problems for your students to solve. It's okay to give them practice problems on a worksheet that have one answer BUT you need to balance that with open ended problems. In fact you might even want to tip the scale towards MORE open ended problems than closed, single answer problems. Open ended problems allow for critical thinking and great discussions in your math classroom. Fun in Fourth has a great blog post that includes an open ended fractions word problem from Marilyn Burns. The Tarheel State Teacher wrote a great blog post about using playing cards for practice with comparing fractions. I love this idea because it gives students an opportunity for purposeful practice and she provides several ideas for ways to increase the rigor. You can check her blog post out by clicking here. When looking for sample anchor charts the first place I go to is Pinterest. There are tons of sample anchor charts there but my favorites are from Teaching With Simplicity. Her anchor charts are all visually appealing and very clear for students. I used her charts as a starting point for creating anchor charts with my students. I am a firm believer that you need to create your anchor charts WITH your students, not ahead of time. So, I use these anchor charts to get an idea of where I want to go with my students but we create it together. Here's a link to her Fractions anchor charts. Amber from Shut the Door and Teach has a great intro lesson on equivalent fractions. 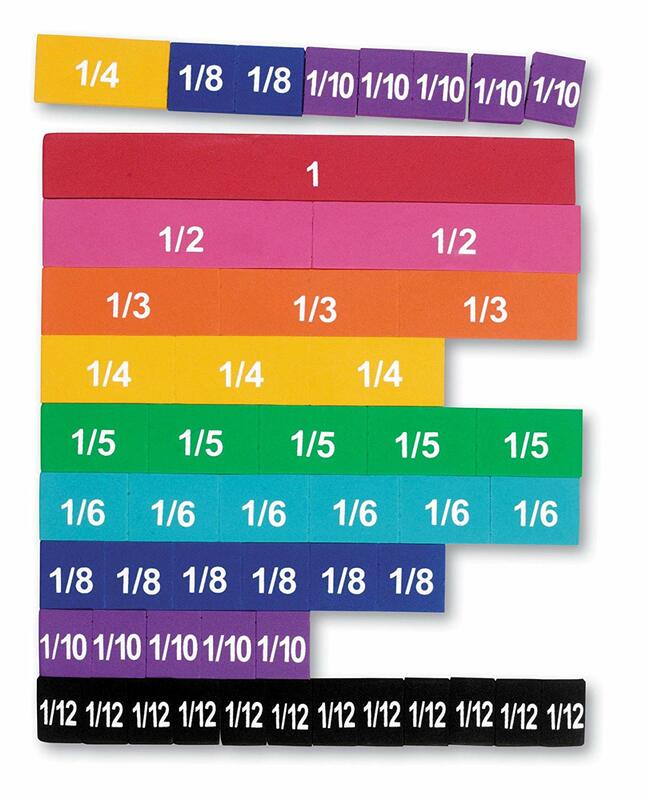 I also found this great idea for an interactive anchor chart about equivalent fractions from The Tulip Teacher on Instagram. 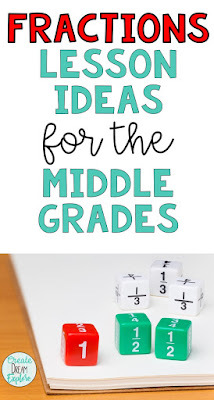 I'm putting this at the end but really, I think this is a great idea for when you are at the midpoint of your fractions unit or when you find students are struggling. Stefany from Learning with Miss Stefany gives you a review of a great read aloud along with a free game. I like to do a math talk several times a week to help build fluency. This is a great site for fractions talks. 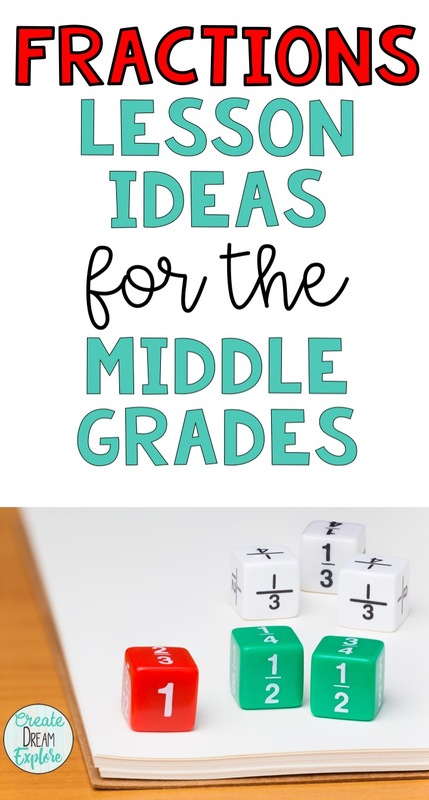 Let me know in the comments if you have any more great ideas for teaching fractions in the middle grades!